This morning we packed up and hit the road. We have finished the wine country phase of our trip and now it's time to head to the desert. Our original plan was a short road day to Tehatchapi, about 40 miles east of Bakersfield. What we didn't realize is that it sits at 4000 feet and there was snow there. Since we could see snow back in Michigan we decided to keep moving. Our next plan was to stop after a rest area lunch in the town of Boron. Well let's just say Boron was Boring!!! So back on the road to 4 corners and then a right turn to head south. We are staying at a campground in Adelanto. 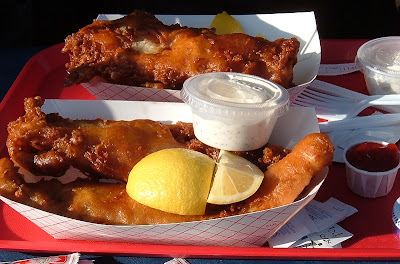 We will have a short driving day tomorrow to Joshua Tree National Park. We are going to stay in one of the primitive campgrounds there for a few days. Then it's on to Slab City. 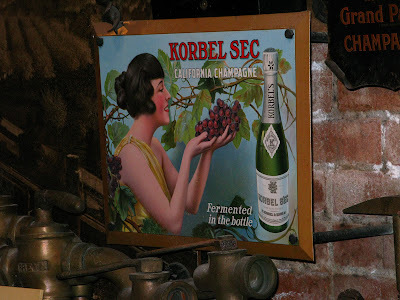 We spent a few days in the Napa Valley area and of course visited a few wineries. We like finding the small ones that don't have distributors back east. 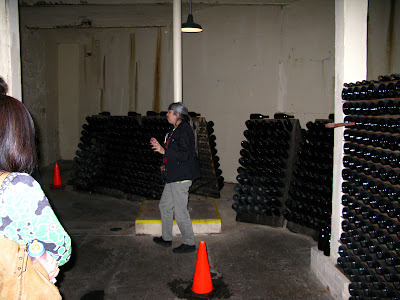 Last year we found Andretti winery and joined their club. This year we found Turnbull winery. To top it off the owner is an avid photography collector. 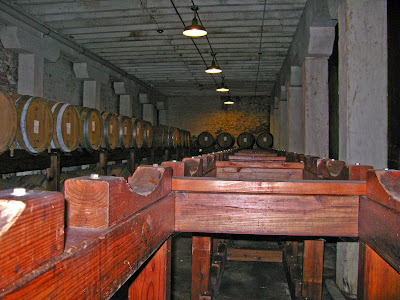 They have 2 tasting rooms which are also galleries. One had a large Ansel Adams collection, and the other, several contemporary landscape artists. This is what you think of when you think Napa Valley. 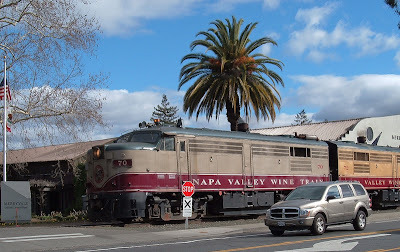 Wineries, little bistros, fancy little designer shops and of course the Napa Wine Train. We however discovered a wonderful little place for lunch this time that probably wouldn't make any gourmet list. About half way up the valley is the little town of Saint Helena. On the south end of town is a little drive-in. The kind of place that almost all small towns had at one time. The name of this drive in was and is still Taylors Automatic Refresher. Taylors has withstood the test of time and is thriving. Of course it serves the old standbys like burgers , fries and shakes. But how many drive ins do you know that serve sweet potato fries dusted in chili spice? How about fish tacos and an Ahi Tuna burger. And for Julie they even have a Garden Burger. And if your thirst isn't quenched by a real cherry coke, or a hand made milk shake, you also have your choice of several Micro brews and even a glass, or bottle of local wine. On the day Judy and I were there, the lines were long but service was prompt. Judy had the fish tacos which were grilled Mahi Mahi in corn tortillas with slaw, salsa and jalapeno-cilantro sour cream. I went for the Ahi Tuna burger. It was a 6 ounce fillet of sushi grade Ahi tuna seared rare (the proper way to fix tuna), cover with ginger wasabi mayo and asian slaw and served on a toasted egg bun. 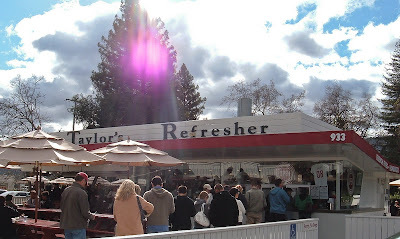 If you would like to read more about this place, go to www.taylorsrefresher.com You can read about the many awards they have won as well as view their menu. We left Portland Wednesday morning after spending nearly a month in the Northwest. We will try and publish a overview with a few pictures in the coming days. We spent Wednesday night in Sutherlin, Oregon at an Escapees Park. We had our mail sent there and we needed to pick it up before moving on. After checking in at the park, we drove down to the post office and our package was there waiting for us. Thursday morning we headed south on I-5 planning to spend the night between Sacramento and San Francisco. But a half an hour into our journey, we realized that we didn't need to rush through Northern California, and we made the decision to head to the coast instead. We picked up 199 at Grants Pass and it was a beautiful trip down through the coastal mountains to Crescent City, Ca. We continued south on 101 and spent the night at a little campground south of Garberville, Ca. This morning we drove for 3 hours down to Santa Rosa. 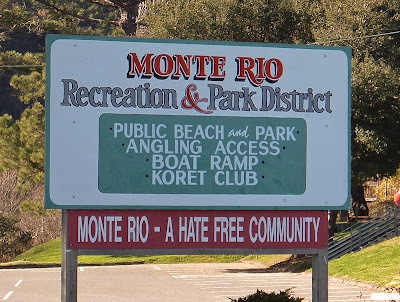 The weather is beautiful and we plan on staying here for a few days before moving on south to Paso Robles. 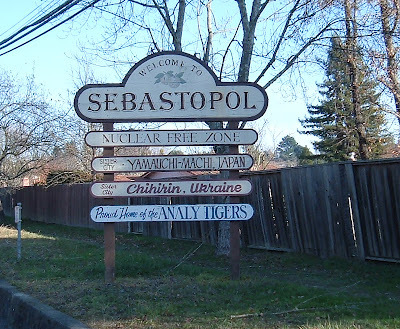 We love the Napa Valley area and we're staying in a wonderful campground at the Santa Rosa Fairgrounds. And the price is great, only 10 dollars a night.